80th Anniversary Celebration Begins Now!! Don't miss President-Elect Rosie's 17th Annual Cowboys in the Caribbean Fish Fry Presentation and all the fun things leading to our event on Saturday, April 2, 6:30 p.m. at the George Ranch Historical Park. Mark Your Calendars!! 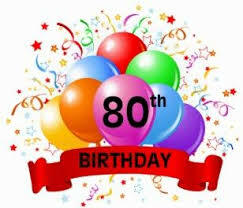 We are celebrating Rotary Richmond TX's 80th Birthday this year!